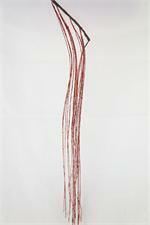 This garland is about 5 feet long and has 100's of red and Burgundy berries attached to a wire garland. 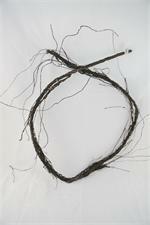 Dried German Statice can be used as floral filler, to make a wreath or by itself in an vase. These sprays are 36'' long and are perfect for tall Christmas baskets or floral arrangements along with a host of craft projects. 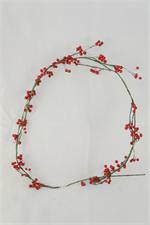 This garland has red berries strewn about a green vine approx 5 feet long.